Being a mom is a thankless job. There's no off switch for momming. You're always on, even when you can land a babysitter, because “out of sight, out of mind” doesn't apply to children. 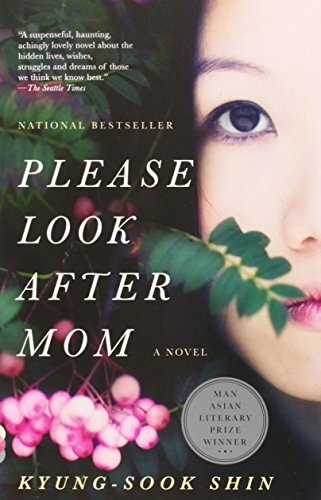 South Korean author Kyung-sook Shin's Please Look After Mom explores the uncelebrated life of one such mother, who held her family together for years until one moment in a train station changed everything. It's a novel told in four voices: a daughter, a son, a father, and finally the mother they're all searching for, who went missing one day when she didn't make it onto a train in time. You wouldn't think losing a grown woman, even in a crowded and bustling city, would be that big a crisis, but as the pages flip by, it becomes clear that this family's mother is not okay, and hasn't been for some time—and finding her won't be as easy as you, or her loved ones, might expect. There are aspects of the mother's life that no one knows about, not even her husband and children. There are struggles from her past that they can't fathom, and pain in her present that they have conveniently ignored. Now that she's gone, the family is adrift. This is a quiet read, almost meditative in quality. It rewards focus and perseverance. By the end, I felt I understood the mother on a profound level, in a way her family members failed to—but thanks to the multiple perspectives, I also felt I understood where her husband and children were coming from. If you're looking to diversify your reading by adding some books in translation, this would be a good starting place.